Throughout the programme, we’ll be exploring issues of publishing online; blogs are key to 23 Things participation as you’ll be using them for your regular reflective posts on the tools you explore. Blogging is an increasingly common way to communicate ideas and information of all kinds, for lots of different audiences and purposes. A blog is a dynamic website which is periodically updated with new posts, arranged in reverse chronological order and which can also be categorised by theme. There might be a single author, or multiple contributors. Posts can be text, or other media such as links, images, video or sound. Readers can interact with the author by posting comments. You can also use blog software to build a more traditional static website if you wish (parts of this blog are used in this way). 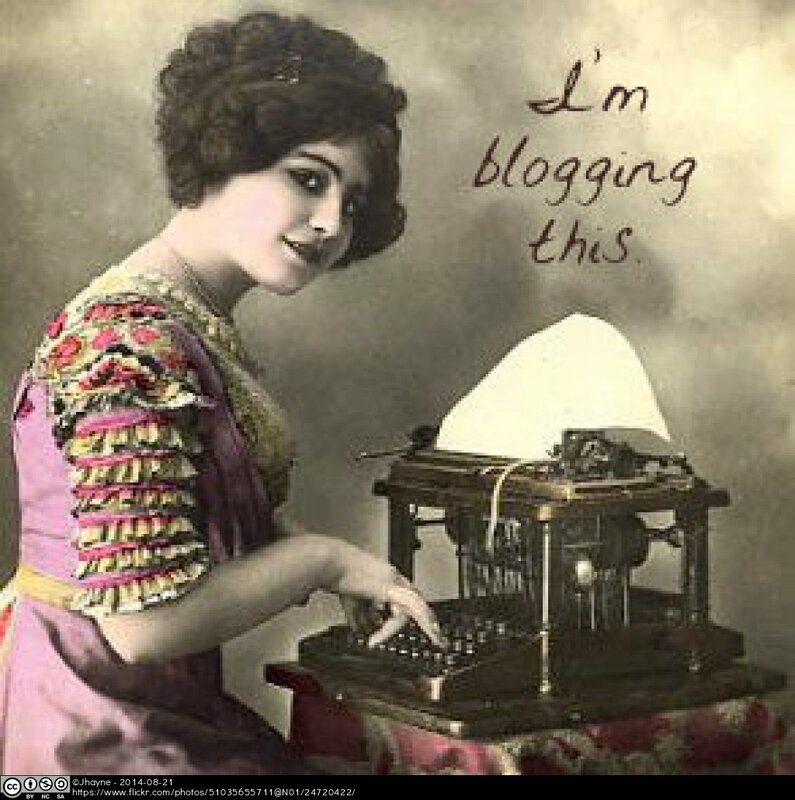 There is little agreement yet on blogging’s place in the academic world, but blogs are certainly used extensively outside of academia to share information and promote all sorts of work, and are very useful for public engagement. Setting up your own blog will help you to explore the potential value of blogs in and beyond academic life, as well as some of the non-traditional formats or types of information you might want to make available via this medium. Thing 2 asks you to get one up and running. At the end of the programme, we’ll think about what you want to do with your blog next: keep it, change it or delete it. We’ll be asking you to write a blog post in Thing 3, but first you’ll need to decide on a blogging platform and set up the basics. If you already have a blog, you can skip right to Thing 3. If you just want an online scrapbook to post thoughts, ideas, quotes and multimedia then consider Tumblr. It also suits if your blog is going to be more personal than professional – though it’s worth pointing out that the two categories can sometimes get blurred. If you want to disseminate your research, connect with researchers internationally or raise your profile then consider WordPress or Blogger. If you want to set up a collaborative writing project then consider WordPress. Though the amount of functionality can be confusing at first, it has very powerful tools to facilitate multi-author projects and extend the functionality by moving it to a private hosting service. There are pros and cons to each, but we’re going to focus on WordPress as it’s one of the most commonly used platforms. Just as a warning – WordPress reserves the right to put ads on free accounts that hit a particular popularity threshold. If you’d like advice about setting up on one of the other’s please do ask! The Cambridge Judge Business School has provided a great step-by-step intro to setting up your blog, which is worth a look. You need to start at https://wordpress.com/ (not wordpress.org – that’s something different!). You’ll be asked to input a blog address, so you’ll need to think of an address and a username. You could choose to blog anonymously, with an address and username which isn’t obviously you, or you might feel that you want an identifiable presence online, in which case some version of your name might be appropriate. Fill in the address and click ‘Create website’. You’ll be asked to enter a username, email and password. Choose the free option, then click ‘Create blog’. You can now update the title, choose a theme and change your profile! For a bit more information about how to navigate around your dashboard and update your details, try this ‘next steps’ guide. See the information at http://learn.wordpress.com/get-configured/ for more ideas. Register your blog with us, so we know where it is, and we can add you to the blogroll of participants and you can find each others’ blogs. See the form at the bottom of this post to register your blog. Content credit: Parts of this posts have been adapted from text by Mark Carrigan on the 23 Things for the Digital Professional blog. If you have any trouble with the directions, please do get in touch for help. Throughout the programme, we’ll be exploring issues of publishing online; blogs are key to 23 Things participation as you’ll be using them for your regular reflective posts on the tools you explore. Thing 2 asks you to get one up and running. At the end of the programme, we’ll think about what you want to do with your blog next: keep it, change it or delete it. There are pros and cons to each, and we’ve provided a short summary for some of the well known services as well as step-by-step guides to using them. Once you’ve decided on a service, follow the instructions to set up your account and move on to Thing 3! If you have any trouble with the directions, please do get in touch for help. Content credit: Parts of this posts have been adapted from text by Mark Carrigan on the 23 Things for the Digital Professional blog. We’ll be asking you to write a blog post in Thing 3, but first you’ll need to decide on a blogging platform and set up the basics. If you already have a blog, you can skip to Thing 3. If you just want an online scrapbook to post thoughts, ideas, quotes and multimedia then use Tumblr. It also suits if your blog is going to be more personal than professional – though it’s worth pointing out that the two categories can sometimes get blurred. If you want to disseminate your research, connect with researchers internationally or raise your profile then use WordPress or Blogger. If you want to set up a collaborative writing project then use WordPress. Though the amount of functionality can be confusing at first, it has very powerful tools to facilitate multi-author projects and extend the functionality by moving it to a private hosting service. Once you’ve decided on a service, follow the instructions to set up your account and move on to Thing 3! Sign up to receive notifications of new posts by email. 23 Things for Research is licensed under a Creative Commons Attribution-NonCommercial-ShareAlike 3.0 Unported License.